Dog crates are an important – and necessary – piece of dog training equipment. Here, the benefits of using a crate, as well as tips for utilizing this tool, will be discussed. There are many reasons to use a crate. First and foremost, dogs are den animals that feel safest in small, confined areas. A crate provides a safe place for your pet to relax and retreat when life becomes chaotic. Additionally, crates are the safest place for your pet during travel, particularly during long car rides or trips on an airplane. In the house, crates provide an area to keep your pet safe while you are away, and to prevent destruction to furniture and upholstery. Finally, a crate is the easiest way to potty train a dog or puppy. There are numerous times when a crate should not be used. These include as a form of punishment, or as long term “storage” in place of appropriate exercise and training. Crates can be manufactured from a variety of materials. The most common crates are made from wire, and this option provides the greatest amount of visibility and ventilation. Plastic, hard-sided crates are commonly used for travel and are more den-like than wire crates. Soft-sided crates are great for dogs that need a quiet place to sleep and are not prone to trying to chew their way out. 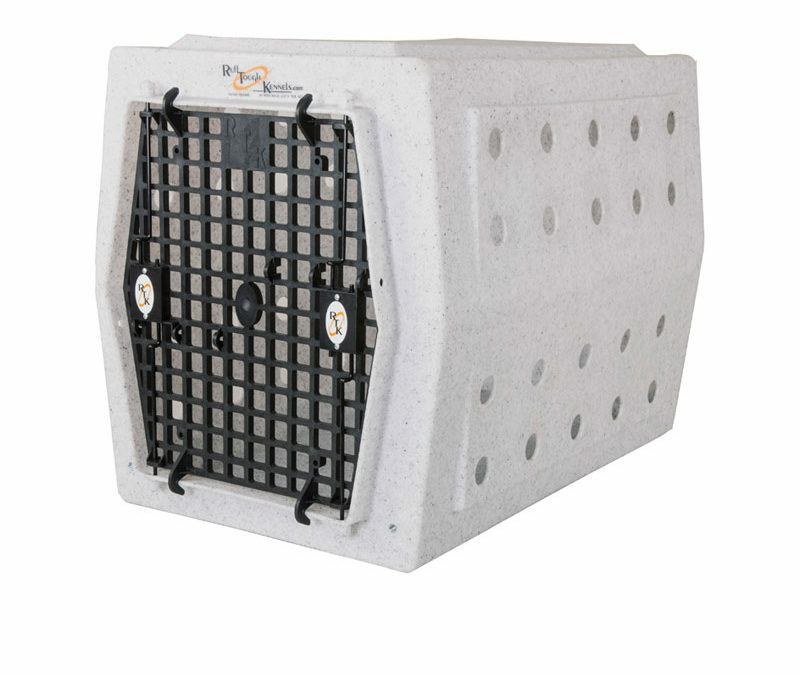 For hunters or people who transport their dogs frequently, aluminum crates or Ruff Tough Kennels provide superior protection. The size of your dog’s crate is an important consideration. Many first-time pet owners assume that the largest size crate as possible is best. However, when it comes to their den instincts, dogs prefer to relax in small, enclosed spaces. If your dog is ever put on bed-rest, a smaller crate will be necessary, as opposed to one that your pet can move around in. Finally, when it comes to potty training in a crate, small is best. Otherwise, your dog may learn to eliminate in one corner of the crate, and sleep on the clean side. Therefore, the crate that you choose should be just large enough for your dog to comfortably stand up and turn around. If you are training a puppy that is expected to keep growing, look for a crate with a divider that allows you to expand the usable area as your pet grows. The key to training your dog to use a crate is to associate the area with positivity. Make the crate as comfortable as possible by adding a soft crate mat or chew-proof bed. You can also include an interactive toy in the crate, such as a KONG or other indestructible item. You should start slowly when crate training your dog, and not simply place your pet in the crate and walk away. The crate adjustment process can take a few days, but having patience is well worth it. Begin by leaving the door to the crate open and providing praise when your dog is in the vicinity of the open door. Next, toss treats into the crate and provide profuse praise when your pet walks into the crate to retrieve them. You can also toss toys into the crate for your pet to fetch. Again, positive associations are key. As your dog becomes more comfortable with the kennel, begin feeding meals inside the crate. Gradually begin closing the door to the crate while your dog is inside, and leaving him or her there for increasing amounts of time. Once your dog has shown that he or she is comfortable with crated meal times, begin placing your pet in the crate for short durations throughout the day, again providing plenty of praise as you do so. Some dogs will protest the crate at first. For these animals, it is important that you never let them out of the crate if they are whining or crying, as they will continue this behavior since it has been reinforced. Always wait for the dog to quiet down before opening the crate door. When you leave your dog in the crate for extended periods of time, it can be helpful to provide a boredom busting toy or treat, such as a peanut butter filled KONG or a puzzle game. This type of reinforcement can also help your pet view the crate as something to look forward to being in, and not a reminder that you are gone. Once your dog has been properly acclimated to the crate, you can use this tool for potty training. The crate works well for this purpose because dogs instinctively will not potty where they eat and sleep. Whenever you are unable to keep an eye on your dog or puppy, he or she should be in the crate. 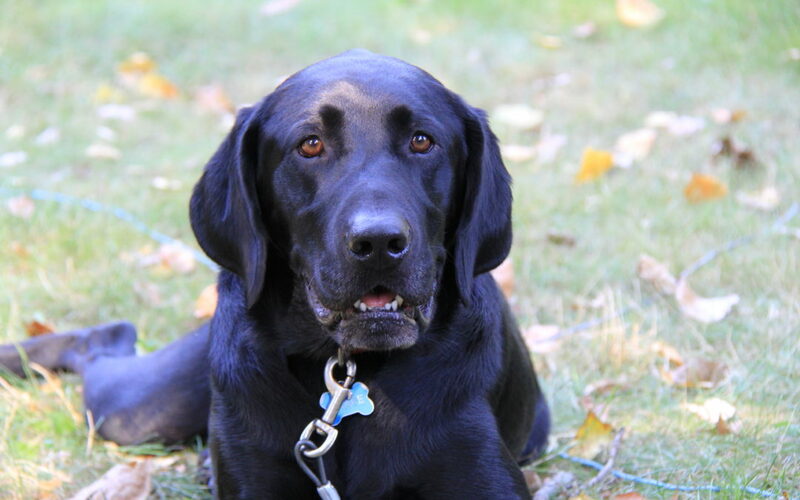 It is important to note that your dog’s bladder capacity should be kept in mind, and it is unfair to expect your pet to be able to hold it for long periods of time. As a general rule of thumb, a puppy can hold his or her bladder and bowels for as many hours as it is months old. For instance, a 3 month old puppy needs to be let out at least every three hours. The key to dog training is consistency. While you are in the house you should look for signs that your pet is going to eliminate and then immediately move your dog outside and praise him or her for pottying outdoors. However, if you will be unable to keep close watch on your dog while you are cooking or cleaning, for instance, your pet should be crated. After an hour of being in the crate, take your puppy outside (preferably to the same area each time), give the “go potty” command, and wait until your dog eliminates. Afterwards, provide praise and a treat. If your dog does not potty, return him or her to crate without providing praise, and repeat the process in 20 – 30 minutes. 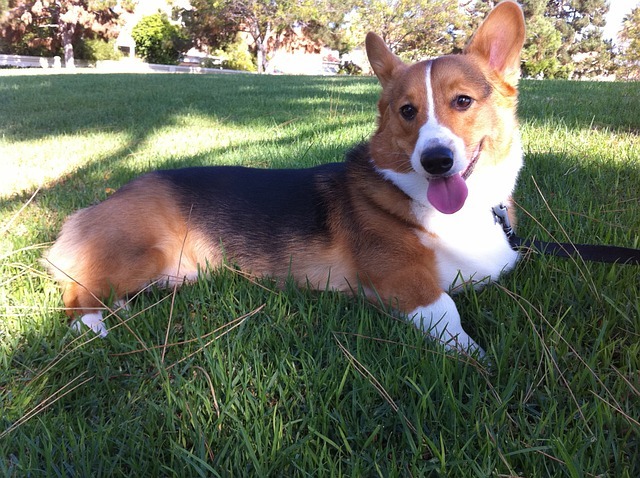 After your dog successfully potties outdoors, repeat the supervision or crating process. Consistently using the crate to keep your dog from having accidents indoors will speed up the potty training process and reduce the number of accidents in your home.